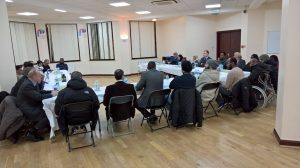 On Tuesday 6th February, Finsbury Park Mosque organised a get together dinner event for the victims and families of the Finsbury Park Terrorist Attack. The event was held after the court trial sentencing of the perpetrator of the attack. Some of the attendees including Finsbury Park Mosque Chairman Mohammed Kozbar and Muslim Welfare House executive director Ahmad Khaloufi, officers from the counter terrorism team, the victims legal team representatives, a local councillor as well as the local community leaders. The event was chaired by Khalid Oumar, Finsbury Park trustee and co-founder of the Finsbury Park Terrorist Attack Victims Voice Forum, who said this meeting, which marked the end of the trial, was a turning point for the victims and their families enabling them to focus on rebuilding their lives. 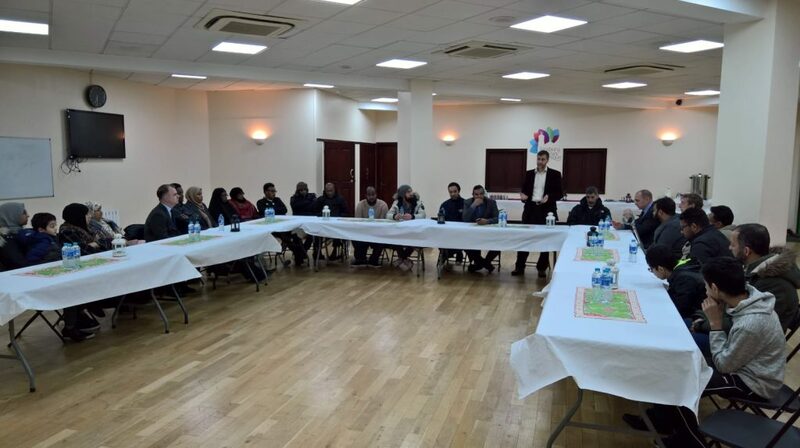 The dinner began with a special thanks to all the victims, including the family of the late Makram Ali. There was also a reminder about one of the victims who is still hospitalised and receiving treatment. 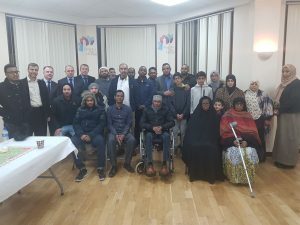 Mr Oumar went on to say that the rise of hate crime and Islamophobia in particular is deeply worrying and that the community is determined to stand up to this increase. He reaffirmed that the hatred and racism has no place in Britain. All the victims greatly thank the local community and the support they received from emergency services and the general public.